Y-Terpinine which is also known as terpinolene is natural and has been isolated from many plant sources. Terpinenes are a group of isomeric hydrocarbons which are termed as terpenes. Alpha terpinene is extracted from cardamom and marjoram oils and many other natural sources. It is a perfume and flavoring chemical used in the cosmetic and food industries. Beta terpinene is not present in any natural source and is prepared synthetically from sabinene. 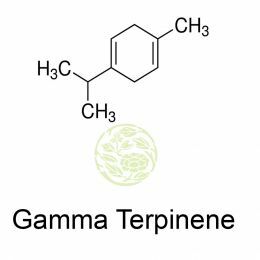 Gamma terpinene is an odor agent and is used in many air care products, cleaning and furnishing care products, laundry and dishwashing products and personal care products, fabric softens, shampoos, deodorants body wash, industrial cleaners etc. It is widely used in flavor and fragrance for reconstitution and extension of citrus oils. Y-terpinine is widely seen in oil of Savin, American wormseed, ocimun viride and Ceylon cardamom. It has a characteristic lemon odor of low obstinacy and is slightly bitter and herb and citrus like to taste. The chemical name of y-terpinine is 1, 4-Cyclohexadiene, 1-Methyl-4-(1-Methylethyl). Its presence in cinnamon oil is huge and it is used as an antioxidant. The presence of antioxidants in cinnamon like camphene, proanthocyanidins, linalyl-acetate, myrcene, gamma-terpinene, methyl-eugenol, epicatechin, coumaric acid, caffeic acid, isoeugenol, mannitol, phenol and vanillan makes it a popular essential oil. It is advised not to consume cinnamon or anything with gamma terpinene during the pregnancy period. Oregano essential oil also contains gamma terpinene as an important component. It also contains alpha-pinene and many other components to make it a precious essential oil. 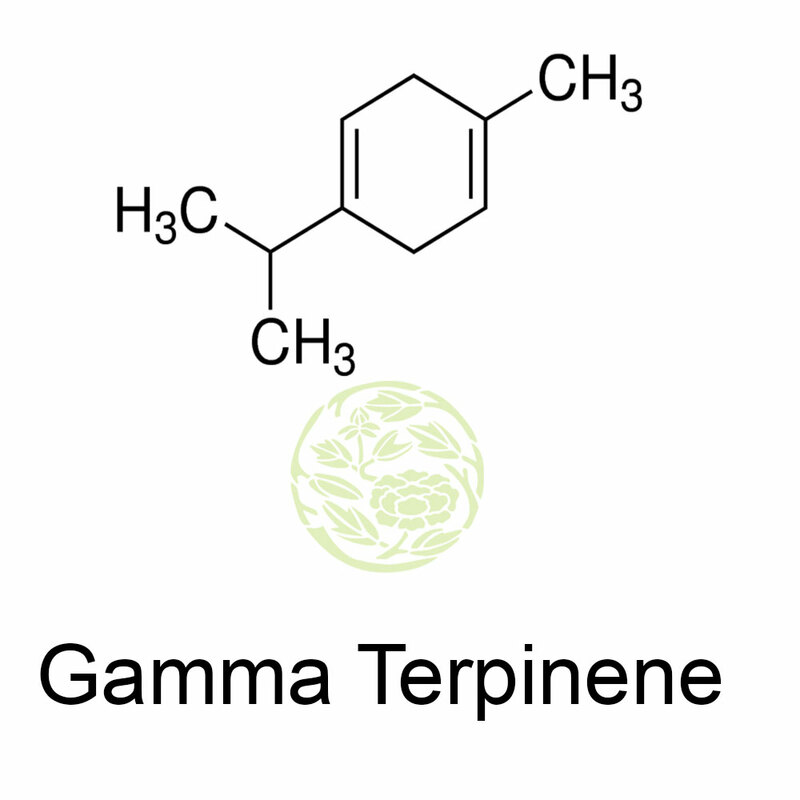 Gamma terpinene is also present in the grapes, celery, cumin seeds, ginger, pepper and tea and it is a monoterpene. It is used widely in the preparation of artificial lemon and peppermint essential oil. It is a very good to be used as food ingredients and it is popular among the pharmaceutical manufacturers and perfume producers. It has very low Fenchone and Limonene content. Gamma terpinene is not rated as potentially toxic and harmful and it is designated as safe for general or specific, limited use in food. The other names of gamma terpinene are 1,4-cyclohexadiene, 1-methyl-4- (1-methylethyl) - (9ci), 1,4-cyclohexadiene, 1-methyl-4-isopropyl-, 1-methyl-4-isopropylcyclohexadiene-1,4, Crithmene, moslene etc.